In the new world of digital video recording, TV viewers can forgo videocassettes, easily recording their favorite shows on a hard disk and watching them whenever they desire. It's "Saturday Night Live" on Wednesday or "Nightline" in the morning. DVR users can even pause live TV to tend to a crying baby, or do an instant replay to catch a missed line. DVRs have been around since 1999 — with Echostar's Dish satellite TV receivers and standalone devices by TiVo and ReplayTV. Consumer adoption was initially slow, and getting TV viewers to understand the technology's groundbreaking features remains a challenge. But consumer interest in DVRs is gaining momentum, especially as the cable industry catches up to its satellite TV rivals by offering DVR-equipped set-top boxes. "The success we've seen from TiVo and others helped to whet the (consumer's DVR) appetite for the cable industry," said Page Shaper, Charter Communications' director of new products. Forrester Research projects the number of U.S. households with DVRs will grow from 3.5 million in 2003 to 6.5 million by the end of 2004. That estimate includes a small but growing number of consumer electronics makers which are starting to incorporate DVR features into DVD players, DVD recorders, or other products. Already, consumers face a confusing array of DVR choices. Some can opt for standalone machines such as by TiVo or ReplayTV, or get one through a satellite TV or cable TV operator. Most cable companies are using DVR-equipped boxes by Scientific-Atlanta or Motorola to lend or lease to their customers. All have the key capabilities of recording onto a hard disk, pausing live TV, doing instant replays and fast-forwarding, but storage capacities will vary from model to model, and the search-and-record features and navigational controls will differ in quality and style. 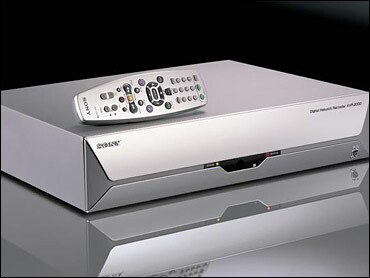 Some DVRs have dual tuners, which allows users to record two shows at once, or watch one show while recording another. And some DVRs even allow users to schedule their recordings remotely via the Internet. In describing the fledgling DVR market, Forrester's industry analyst Josh Bernoff said: "The leap between having a DVR and not having one is a huge leap, but the leap between using a TiVo, Echostar, or a Scientific-Atlanta or Motorola box, is very small." Still, sometimes the littlest distinction between competing products makes the biggest difference for consumers. And a word of caution: features can and will vary among cable providers, even if they are using the same box, because not all choose the same software.